Water and sewer with structures have come a long way over the years. As population and industry grows, so does the need for larger, faster and more effective facilities. With the changes in regulations, the handling of water and sewage plays an ever-increasing role in our lives. 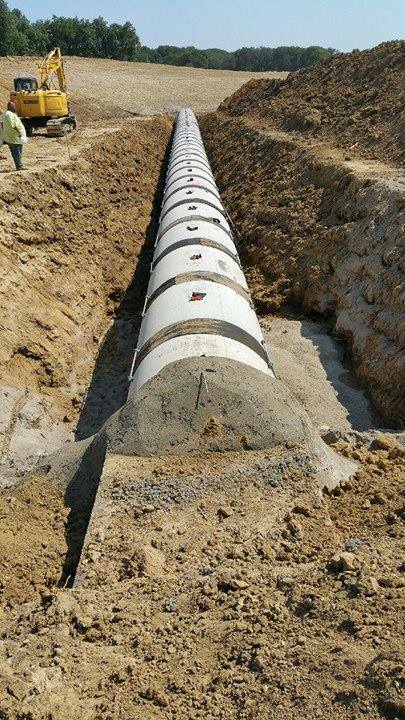 Reilly Construction Co., Inc.works with leading engineers in the construction of water and sewer facilities as well as structures for both the public and private sectors of the community. Using the latest technology combined with old-fashioned hard work and the honesty of Reilly Construction's workforce, Reilly Construction Co. Inc. is able to overcome virtually any construction obstacle.